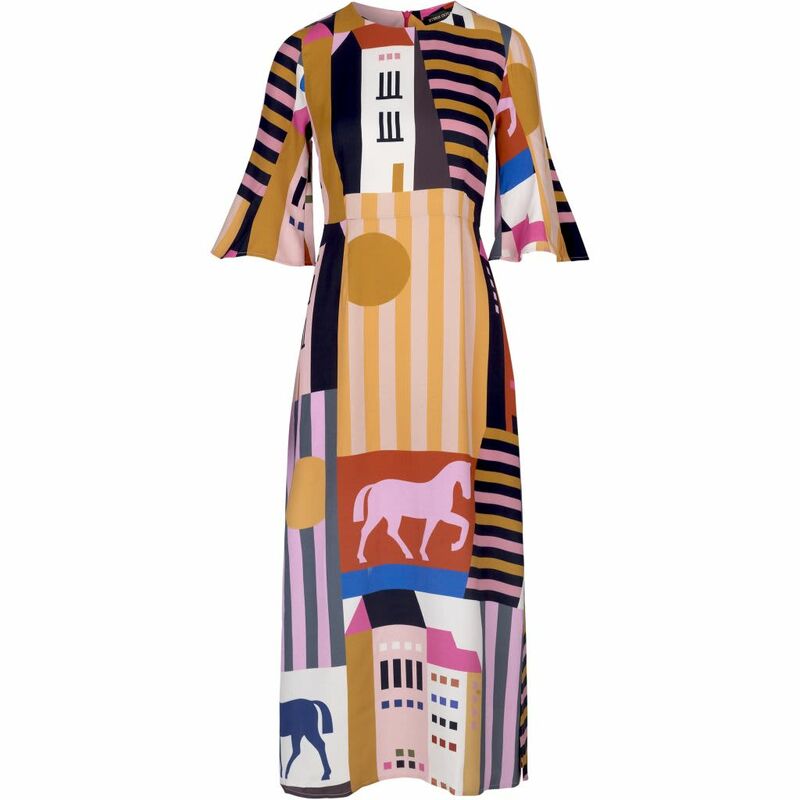 Kirsten Dress in The City print. Made from a delicate printed viscose in a feminine silhouette with a fitted waist and a long flared skirt. The dress has short flared sleeves and is closed with an invisible zipper in the back.